For private events, please send us a note at events@elsaporestaurant.com. EL SAPO, Cuban Social Club is a hip, festive, forward-thinking Cuban restaurant, and the first of its kind in the D.C. metro area: bright, open, and brimming with energy, fresh mojitos, upbeat music and bold island food. Sunday – Thursday 9 pm, Friday & Saturday 10 pm. When the sun goes down, we start to relax Havana Style with chill music, island vibes and discounted mojitos!!! A limited menu is available and of course, cortaditos! This is a fairly cool restaurant with good Cuban food. However, the service was below average unfortunately. Items we ordered never got placed, we couldn't get our waters refilled, or order additional drinks. One thing to know going in - everyone's dish is served on a big platters. For example, two people ordered two separate dishes and they arrived on a big platter sort of served family style. Three others each ordered the Cuban sandwich and all three sandwiches came on the same platter with a big pile of fries in the middle. It wasn't horrible; it was just unexpected, a little weird and really inconvenient. 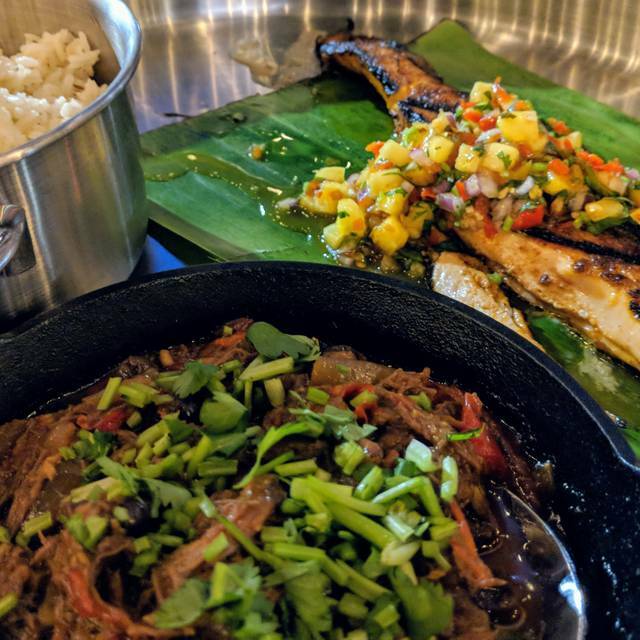 El Sapo's is a new, fun and energetic Cuban restaurant with flare in Silver Springs, Maryland. I took a new acquaintance and over wine, tequila and great tapas we became friends. We will return soon. My only request; add more selections of wine by the glass, maybe an Albarino and Chardonnay. Gracias! My husband and I went to El Sapo for our anniversary. The window/walls were open on a warm spring evening. I was excited that the chairs are much more comfortable than at Urban Butcher, El Sapo's other half. The decorations were fitting for the theme. Our server was polite and took care of us; it was standard service, nothing bad or exceptional. When we sat down, my husband ordered a mojito and I ordered a mango on a rock. My drink was $12 and was very tiny. It tasted like mango juice with some spices in it. The mojito, on the other hand, was very good. We also ordered the tuna ceviche. It was okay, but not worth the price tag. When our server returned, we ordered a pitcher of mojitos. Our server told us it would be about 4 mojitos (it ended up being about 5). At that point, he cleared the entire table, including our previous drinks. I was not paying close attention and was a bit disappointed when I realized my mango drink was gone. It still had a couple sips in it, and I was intending to drink it because it was so $$. It is partly my fault I was not watching him clear the table very well, but I did feel like he should have asked if I was done with it. I ordered the Ropa Vieja, which was very tasty and filling. I would order it again, but did feel it was overpriced for the portion. My husband ordered the El Cubano sandwich. The sweet potato fries that came with it were very good, but the dipping sauce was very spicy. The sandwich was also tasty and was large. He brought 1/2 the sandwich home. We thought we would be getting the happy hour prices for our eligible items-- the mojitos and my husband's sandwich, but our bill was for full price. When I asked the server, he explained that the happy hour prices are only at the bar. I felt deceived because the menu I received at my table had the happy hour prices and did not explain the distinction. We would return to the bar for mojitos and a sandwich or sides, but will not dine here again for dinner. The service and staff were so awesome and friendly. The owner makes every effort to greet and speak to guest. This is a cultural hidden gem that is long over due for Downtown Silver spring. Live music on Fridays and Saturdays with delicious cocktails. . The food and drinks were delicious and the garage-style doors gave a nice sense of being inside and outside at the same time. Server was very friendly and the food came out quickly. Will recommend to friends and want to go back for the pitchers of mojitos. Since our trip to Cuba several years ago we have tried repeatedly to find a restaurant and food reminiscent of the island. We found it!!!!! costillitas borrachas; camarones enchilados; puerco asado, and Churros. All of the food was delicious. 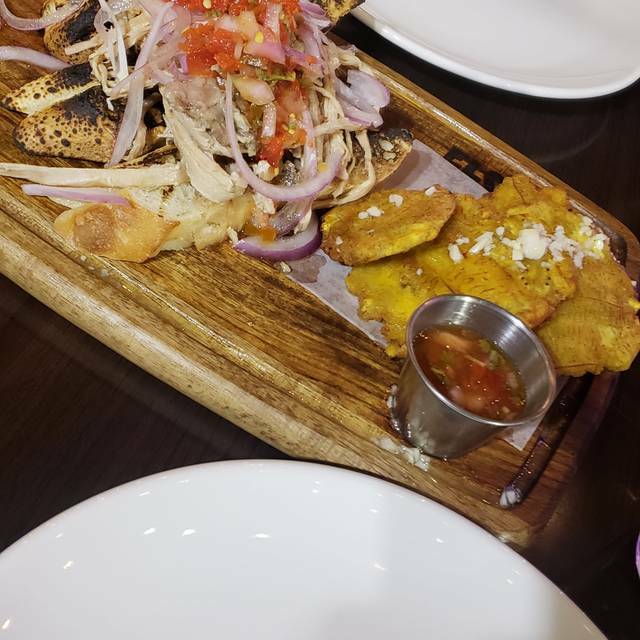 Our favorite dishes were the costillitas borrachas and churros. We had a great time. The only complaint is that the place is loud and it’s difficult to hear and speak. Excellent food served by outstanding staff. I think the concept is great. The food is average. Some of it like yuca frita, seems to be processed food, meaning coming out of a bag. On the restaurant area, there is no happy hour value...I did not know that. The bottom line is: is ok. Good ambiance. Will go back only to the bar area for happy hour drinks, but not worth the 170 dollars spent on average at best finger food. Sorry...same demos as Urban Butcher. But just a bit less overpriced. Everything about my experience was really good except the noise level.. don't plan on much conversation. I like to try something new every time I come and it was still great I had the most popular item on the menu I set by the window next to a beautiful couple my guest and I had a great conversation with them while enjoying Our meal lovely people. This is an over-hyped place. The mojito drinks are pushed to customers as if they were free, but not. price we paid, we could have a prime rib meal at Woodmont Grill with change. Everyone enjoyed their food. But the menu is confusing to people unfamiliar with Cuban food. Moreover, there were no choices for someone who does not eat fish (allergic) or beef. I saw no chicken and no vegetation choices. So I had to eat two side salads and this was not satisfying. Also, twice the wrong food was brought to our table. When we first arrived a dish with rice was put in front of us with plates. I asked what it was and was told it was oxtail stew. Then it was whisked away because it was delivered to the wrong table. Then, a second time a plate of food was brought to us and put before us. 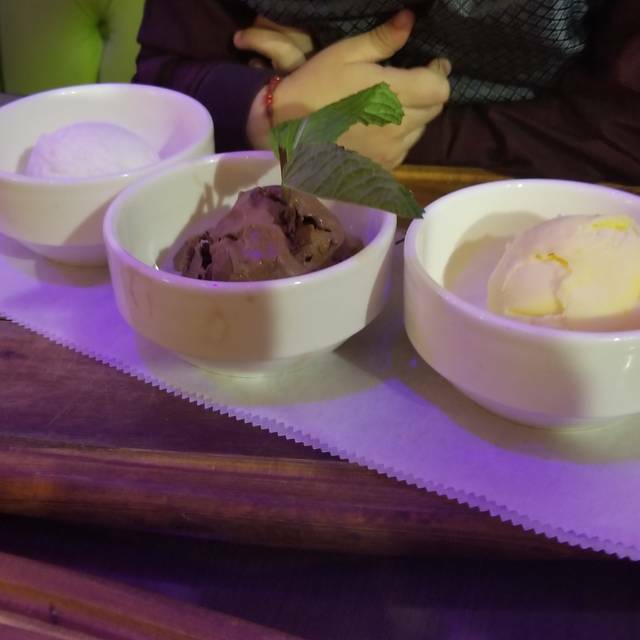 We were about to take pieces of the half pie shaped items and a waiter took them away to another table. No apologies, no explanation. It was very strange. This place is 'all the rage', but frankly I think it's overrated and overpriced. Important to state, humbly, that I know and love Cuban food. It's not enough to offer me a moJIto and I'm happy. I cook many of the dishes they serve. The cocktails were elegantly prepared at the table, fair prices. The beer selection is mediocre for the area, no local brews. We grazed throughout the menu and everything was VERY GOOD! Classic ceviche super fresh, portion could have been a little bigger but it was fine. The lechon crispy on the outside, juicy meat. We got the app on toast. More bread?? They are happy to sell you some. Oxtail/rabo was a nice innovation, usually tomato-based this one seemed like a wine reduction... whatever it was really tasty. But the double portion for $57 dollars wasn't overwhelmingly ample AND didn't even come with rice and beans. Really, for that much?? I'm supposed to add another $11 for rice and beans, another $4 for bread? Shift change in waiters in the middle of our meal (at prime time, weird). No recognition of our birthday celebrant, which we told them about in advance and at the table. Call me cheap, but i have certain expectations of any Cuban restaurant. 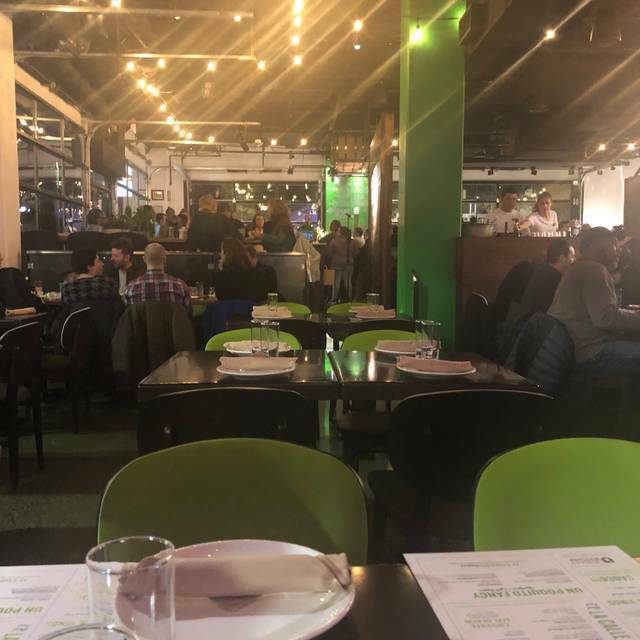 So a nice dining experience overall, but go because you want to talk about it afterwards to all your friends. Excellent food but very loud. Would go back. Four of us celebrated a couple of belated bdays at this new lively venue in downtown SS. The place was fun, noisy, vibrant! Most of the food hit the mark, except for the Camarones Enchilados (please change this item to a more edible Gambas al Ajillo w/ pique or similar; as is, the camarones are barely edible; there’s not much to eat after you peel the shrimp!). An absolute delight - a true party for all of your senses! Great food and wonderful drinks, all in a very social atmosphere. Excellent food and great service. We’ll be going back. The Ox Tail was delicious. Fun place, delicious food and the mojitos are AMAZING! Great service love the servers I've been three times and have been lucky to have Edwin every time. Food was excellent, but the service detracted from our enjoyment. We were somewhat neglected by out waitress, noticed that adjoining tables were similarly neglected. My wife's water glass went unfilled. Perhaps we caught them short-staffed that night, we'll probably go back but if service isn't improved this may not become one of our regular haunts. Great ceviche, but the rest was mediocre and overpriced. Food appeared to have been reheated and was cool to lukewarm. Inattentive service. Not a good value. We were greeted within 6 mins of arrival. Our server walked by many times without acknowledging our presence, maybe she notices us from the corner of her eye. Her knowledge of the menu was very little and not once we received a check back when the food arrived. Water glasses were empty the whole. We were overcharged for a ceviche. Maybe she was having an off day. I wanna give it a second try since the food was really good. The food is great, service is very friendly. If only it was a little less noisy, it would be a perfect restaurant. had called twice after our music concert ended to inform the restaurant we were running behind and to hold the reservation. The phone rang repeatedly but no one at the restaurant picked up. The venue is loud so maybe the staff can adjust the ring volume or be more attentive to the phone. Nevertheless, the rest of the evening made up for the difficult beginning. 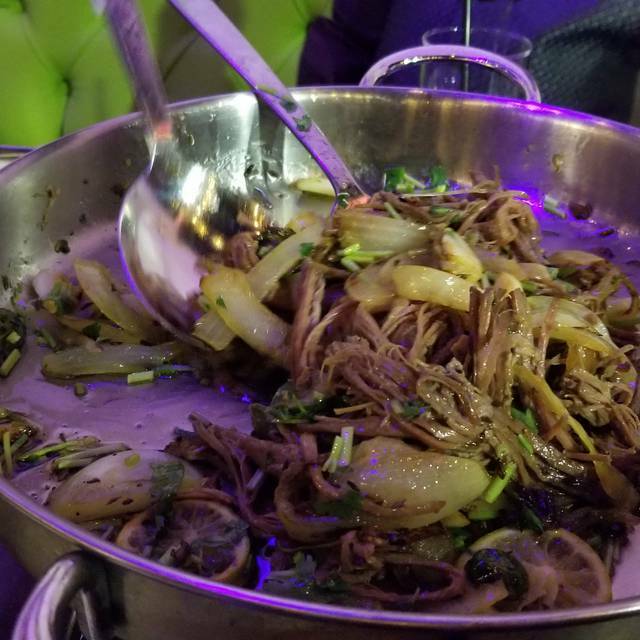 The food was very good; the ropa vieja and churros were outstanding. In addition, we received very efficient, cheerful, and competent service from our waitress. Our party much enjoyed the experience. We would be happy to recommend the place to friends. Great atmosphere, food and drink. Host could have been more hospitable when we arrived. Group dinner for a family member’s birthday. Such a lively and tasty place. 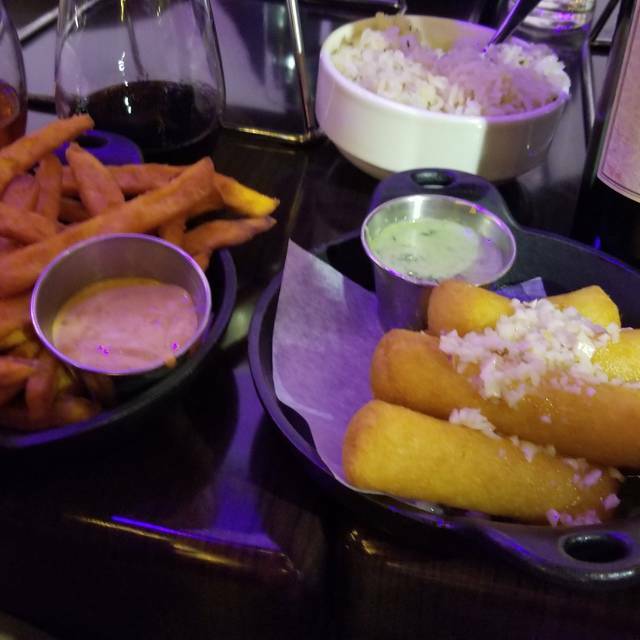 Top picks - yuca frita, ropa vieja, cubano, salmon. Decor is vibrant and fun. 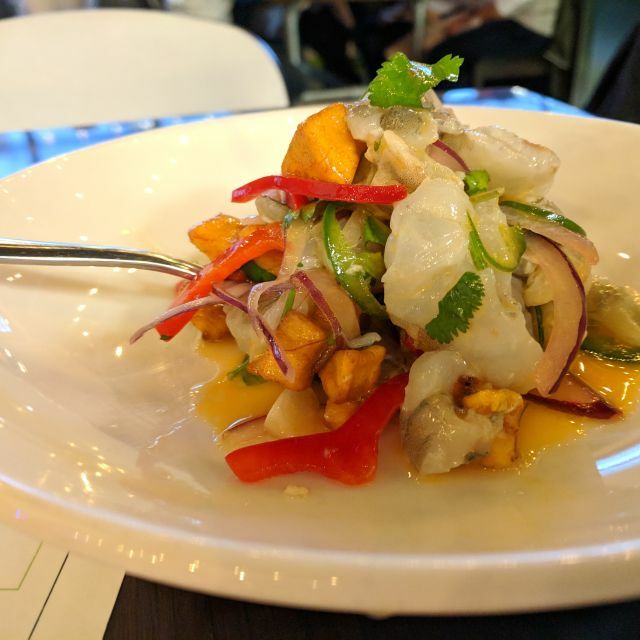 Conche ceviche was lovely and fresh, I could taste the sea in my mouth. It was delightful. The live music was a treat but the acoustics aren't great also makes it difficult to hear folks in your party. Floor manager extremely welcoming and friendly, waitress felt inexperienced (e.g. tell your guests what's not available in advance so that they don't have the thing desired and its substitute snatched from them). It gets pretty crowded so remember to make a reservation. The atmosphere was great, the drinks were phenomenal and the food was very flavorful and of high quality. An overall great spot to go to with a small or large group of people. Can't wait to be back! The only thing I didn't like was that you can't substitute one thing for another, i.e, fried yucca instead of sweet potato fries. Why? Silly thing. 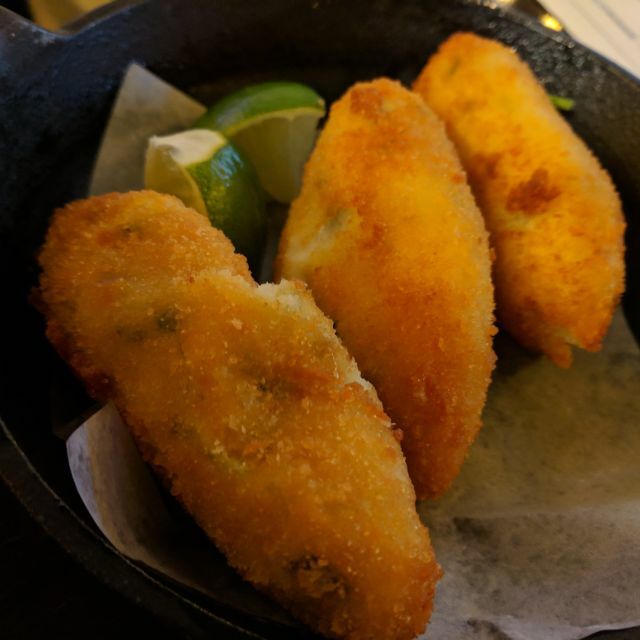 The croquettes were delicious but cold, felt like they were pre-made ahead of time, which is okay but don't let them get cold. The mojitos were tasty but very minimal alcohol. My boo and I like to go to a nice dinner once a month for our month-a-versary and this place killed it!! The mojitos were the best I've ever had (and I'm a huge mojito snob), every dish was excellent, service was amazing and the place was fully packed on a Wednesday night. So glad to have finally checked out this DTSS gem. Truly the best food that we've had in recent memory. 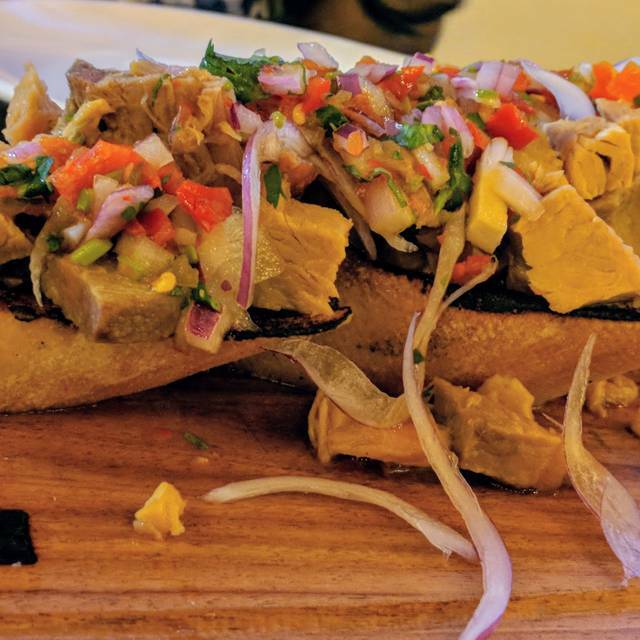 We've been to more than 40 to 50 restaurants in the DC area, and this restaurant is top 3!